What two famous governors were born in Hope, Arkansas? Hope is the birthplace of two long-serving Arkansas governors: Bill Clinton (who went on to become the 42nd President of the United States after the 1992 election) and Mike Huckabee (who ran for the Republican presidential nomination in 2008 and 2016. Hope is also known for growing watermelons and continues to produce records for the largest specimens in the world. The Watermelon Festival is celebrated annually during the second week of August. The watermelon is used in the municipal logo and the Hope slogan: A Slice of the Good Life. 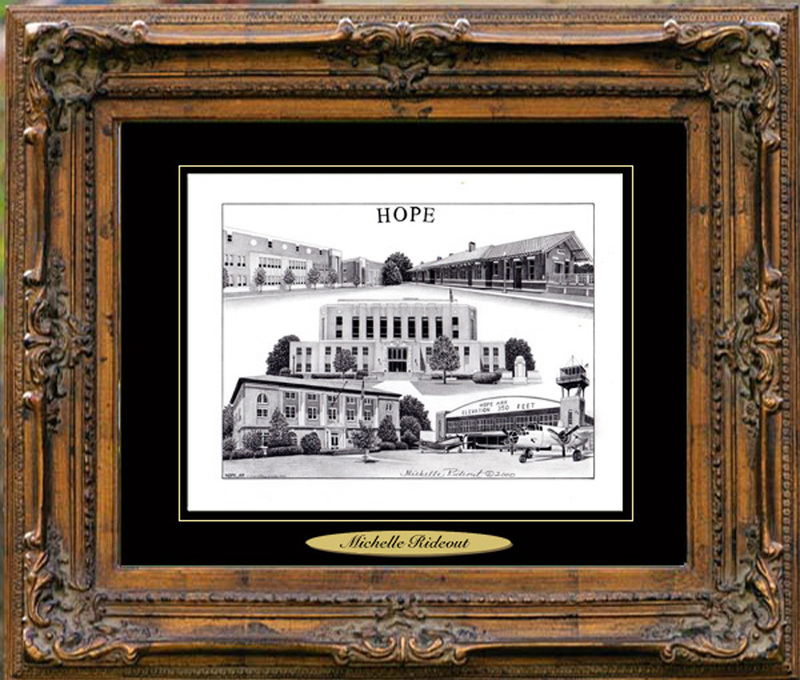 The drawing of Hope was done by Tommy Thompson’s daughter, Michelle Rideout, who is the one of the South’s most prolific artists in capturing small town Americana. Her drawings are known for their meticulous attention to detail.